Illinois Attorney General Lisa Madigan announced Tuesday $1.9 million—most of which comes from the state’s portion of a federal settlement with banks over mortgage fraud—will go to rehab historic homes in Chicago’s Pullman neighborhood. Some $1.5 million of the money comes from a 2014 settlement with mortgage lenders including JPMorgan Chase, Wells Fargo, Citi, Bank of America and Ally over fraudulent behavior they are alleged to have encouraged during the lead-up to the 2008 financial crisis. Most of the money will go toward renovating homes in the Far South Side neighborhood, which was created as a company town for Pullman’s once-ubiquitous traincars. The city will kick in an additional $400,000 to help finance the purchase of rehabbed homes as part of an “affordable historic home revitalization initiative,” according to Mayor Rahm Emanuel’s office. That effort is part of a larger state program to battle blight in communities with lots of vacant and abandoned properties. 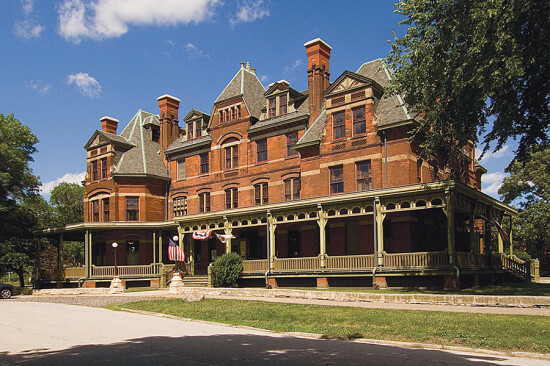 Pullman has seen new development in recent years, including a contentious Walmart in 2010, and ongoing work from the Historic Pullman Foundation to preserve the neighborhood’s architectural heritage. Local preservationists are even hoping to win National Park status for the neighborhood—the National Park Service said late last year that the district “appears likely to meet the national significance and suitability criteria” for further study.